GRETNA – A Jefferson Parish woman is suing a local casino for injuries she claims to have received in a slip and fall on the casino’s premises. Patricia Frank filed suit against Aishea Stevenson, Louisiana-I Gaming and Boomtown Inc. in the 24th Judicial District Court on Dec. 20. Frank claims she was walking in the food buffet area of the casino when she slipped and fell on what was believed to be vomit. The plaintiff alleges that she suffered severe injuries to her back, leg and neck in the fall. Frank asserts that the vomit came from the minor son of defendant Stevenson. The defendant Stevenson is accused of not preventing her child from creating a dangerous condition, failing to clean up the dangerous condition and failing to warn of the dangerous condition. 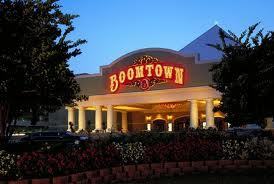 The defendant Boomtown Casino is accused of allowing the hazard to exist and failing to clean it up. An unspecified amount in damages is sought for pain and suffering, medical expenses, lost wages, loss of income, lost earning capacity, mental anguish, embarrassment and humiliation. Frank is represented by Mark W. Smith of Metairie-based Mark W. Smith & Associates.